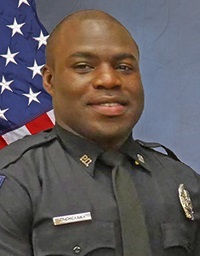 Police Officer Endy Ekpanya was killed when his patrol car was struck head-on by a drunk driver at the intersection of East Broadway Street and Country Club Drive while he was responding to a non-emergency call. 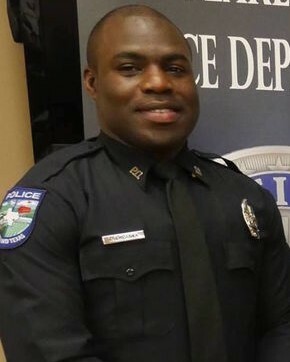 He was traveling eastbound on Broadway Street when a vehicle traveling westbound crossed over the dividing line and struck Officer Epankya's patrol car head-on. 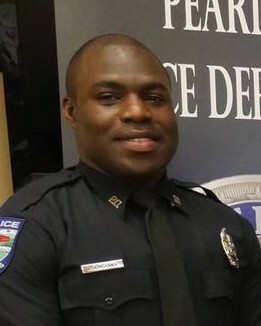 Officer Ekpanya was transported to Memorial Hermann Hospital where he died from his injuries. The driver of the other vehicle was charged with intoxicated manslaughter. 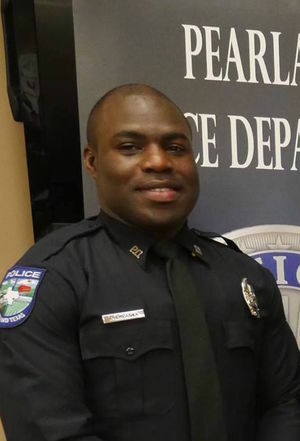 Officer Ekpanya had served with the Pearland Police Department for one year. He is survived by his 2-year-old son and fiancée. Endy, it’s been almost three years since you left this world. We haven’t forgotten about you and we never will. Everytime I’m on or off duty and pass the intersection of Liberty and Broadway, I remember the ultimate sacrifice you made as a police officer. We started our LE career in the same year and I remember how enthusiastic, eager, and determined you were to complete FTO and hit the streets. Your spirit lives on in the City of Pearland.